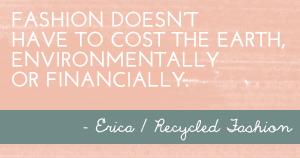 Hey readers, so you've probably noticed, Recycled Fashion Finds is now running fortnightly. 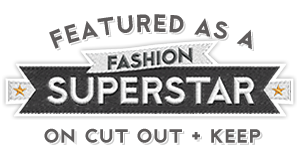 Did you check out Recycled Fashion Finds #56? If you didn't, see here. For new subscribers, Recycled Fashion Finds is a link up blog post, whereby you can link up your thrifted finds or upcycled creations, into the inlinkz link below. Stacey from Owl Obsessed Oddity has been creating her own maternity wear from existing garments, which you can see more of here. This is a great idea considering retail purchased maternity wear is so ridiculously expensive, and second hand maternity wear can be hard to come by. 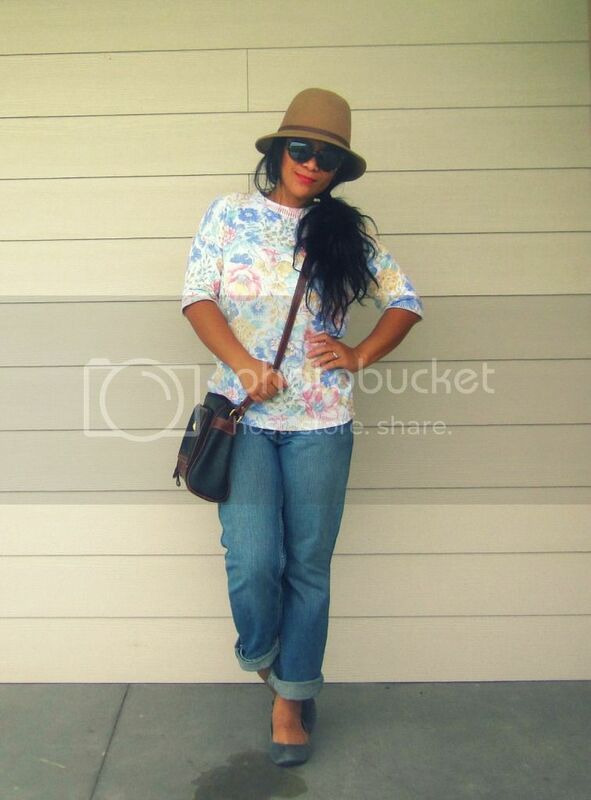 And check out Adin's ensemble here, with her 'mama jeans', vintage hat and thrifted 50c floral top. Recycled Fashion readers, have you been thrifting, refashioning, sewing or crafting? Would you like to participate in Recycled Fashion Finds this week? Feel free to share more than one project or thrifty find, I always love to see what you've been up to. Click here for Recycled Fashion Find's rules, don't forget to grab yourself a Recycled Fashion Finds blog badge for your blog post or side bar, or link Recycled Fashion Finds in your blog post. I must've missed your post re that it is fortnightly now :) I'm glad that it's still on! I love the preggers gear Stacey is pumping out and this spotty skirt is divine:). You can never, ever have too many maternity skirts and tops, I wore mine for a least six months after my births. Wow, Stacey's refashions into maternity wear are great! What a cute dress - you can't tell it's maternity until it's on.... and that's definitely a good thing because so many maternity outfits are really frumpy. Linking up for the first time. Thanks for hosting! Stacey and Adin both looking adorable! Thanks Erica, and everyone else! I only wish I had the energy to make more maternity clothes myself.